With increasing numbers of people embracing dietary-restricted, vegetarian, and vegan lifestyles, birthday parties are becoming more complex. 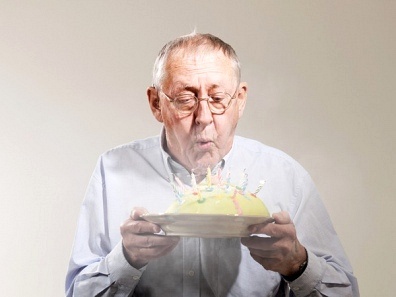 Consider the simple birthday cake. Everyone should be able to partake in its delicious sugary goodness; however, this can prove difficult. Specifically, how can you bake a cake if you cannot use one of the most important components, eggs? In addition to holding the cake together and adding the characteristic spongy texture, eggs are important contributors to the leavening of many baked goods. This is especially true for any recipe that adds multiple eggs to the batter like an angel food, chiffon, or sponge cakes. Leavening agents release or trap air in the batter, which is essential for expansion during baking. This causes these treats to become fluffy and airy. When egg whites are beaten, they foam, which when combined with the gluten networks forming in the batter, trap tiny air bubbles. The proteins from the eggs stabilize the bubbles. During the baking process, the water evaporates and the bubbles expand to create a porous network within the starch and proteins of the egg-flour mixture. This causes the cake to rise and have that delicious sponge-like texture. But how do we entrap air in a cake without eggs? One solution is acid-base chemistry! The same reaction that makes science fair volcanoes blow their tops can also be used in the service of baking. The Brønsted-Lowry acid-base theory defines an acid as any molecule that donates a hydrogen ion (H+) and a base as any molecule that can accept a hydrogen ion. When dissolved in a solution like water, acids and bases break down into their component ions, or charged particles. 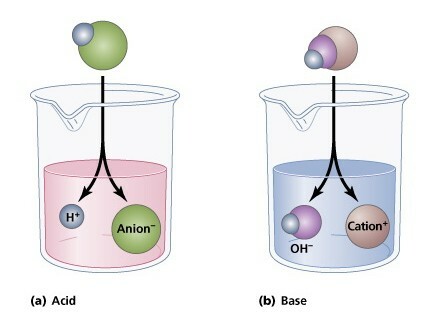 An acid releases a positively charged H+ ion, while a base forms a negatively changed anion, which can accept H+ ions. In solution, the positively charged H+ ions are strongly attracted to the negatively charged base and bind together to neutralize each other’s charge. Wine, lemon juice, vinegar, and sour milk are examples of cooking acids, while baking soda and baking powder are common cooking bases. Copyright © 2006 Pearson Education, Inc.
Now back to the cake. By substituting eggs with baking soda and vinegar, you can create bubbles in the form of carbon dioxide, CO2 ,which make your cake rise. As mentioned, baking soda or sodium bicarbonate, NaHCO3, is a base and vinegar, CH3CO2H, is acetic acid. The CO2 bubbles become trapped in the cake mix and cause the cake batter to rise during baking. There you have it, a fluffy cake without eggs! Below is a recipe for a vegan strawberry cake so that you can practice acid-base chemistry and have a delightful sweet that everyone at your next party can enjoy. 1. Wash and cut strawberries into halves. 2. Sprinkle the sugar over the strawberries. 3. Let the strawberry mixture sit in the refrigerator for 2–3 hours. 2. In a mixing bowl, whisk together cake flour, sugar, baking soda, and salt. 3. Stir in water, vanilla extract, vegetable oil, and vinegar. Mix vigourously until most of the lumps are gone. 4. Pour ingredients into a 9″ round cake pan. 5. Bake for 45–50 minutes, or until toothpick comes out clean. Let cool for 15–20 minutes. 6. Top the cake with the strawberry mixture. Optional: Add vegan or non-vegan whipped cream. Tags: acids, baking, bases, cake, chemistry, DIY, leavening, vegan. Bookmark the permalink. Awesome article. Can’t wait to try it out. Tried this recipe last night. It was a dinner party hit with vegans and non-vegans alike. The cake was really moist and had great texture, it kind of reminded me of poundcake (but without the lb of butter)! I am so glad that it worked it out for you! Great article. Can you explain how baking powder works in a recipe. And do you have a guideline on 1:1 substitution for eggs? Thanks! Baking powder works in a recipe as a leavening agent, very much like baking soda. Whereas baking soda needs to be mixed with an acid (like vinegar) to be “activated”, baking powder already contains both a base (sodium bicarbonate) and a slow acting acid. Chemical leaveners are fascinating and we’ll try to have more posts about them soon. In the meantime, the Wikipedia page for baking powder is pretty helpful. The Kitchn recommends using 1 teaspoon of baking soda mixed with 1 tablespoon of white vinegar as a substitute for 1 egg. But remember, this egg substitute works best for fluffy baked goods. For denser, chewier baked goods you may want to consider using other types of egg substitutes. Hello can’t wait to try this, but have one query, what is cake flour? Can I bake this with white flour, as that’s what I have? Thanks. Cake flour has a lower protein content and has finer grains. It is specific for cakes because it gives a softer lighter texture, but white or all purpose flour will work just as well though! If you’re pouring this batter into a pan, rather than forming it with your hands, it sounds like regular cake batter as opposed to shortcake. Shortcakes are more like scones. 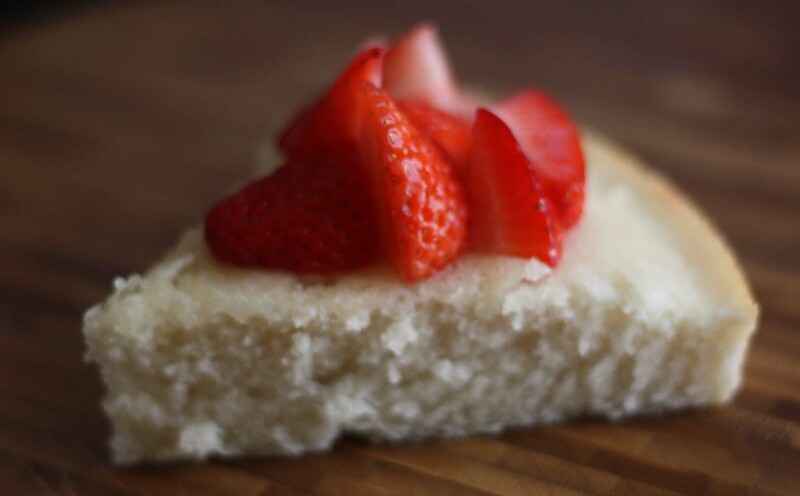 What makes this recipe a shortcake? According to the Kitchen Project (http://www.kitchenproject.com/history/Strawberries/StrawberryShortcake/), you’re right! But even in 1594, they were calling these delicacies “Short Cake” – “short” meaning “crumbly.” Consider the poured batter to be a more modern rendition. How interesting! I (as a vegetarian) have been using the baking soda and vinegar strategy in baked goods for years. Thanks for the recipe – I will try it, but prob. substitute the oil for butter. Will prob. also use turbinado sugar, because I like the slight crunchiness and the burst of sugar-taste. I have also found that adding a Tablespoon or so of soy powder makes the baked goods lighter, even when using whole grains. Any explanation for that?